What is, probably, the most popular feature people use all the time in their mobile phones since the late 90s? SMS! It’s so popular that nowadays millions of people can send SMS for free in a lot of countries, even with prepaid plans. 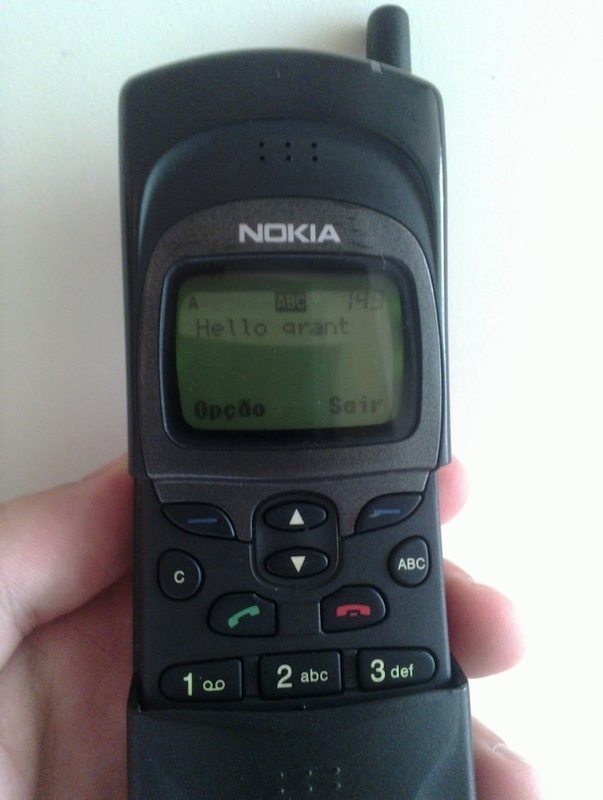 It’s those kind of features I always believed it was no secret for phone manufacturers, SMS has been around almost since the beginning of times, or, in my case, since my first mobile phone, a Nokia 8110 that you can see below still writing a SMS! I’ve been using Android devices since 2010 and there’s one thing I believe most people will agree with: it’s the most complete mobile operating system feature-wise! The first time I heard someone complaining about SMS problems in Android was with a Sony Ericsson Xperia X10 Mini Pro: apparently when running out of memory, the phone would stop some essential services and daemons including the SMS one, which meant the phone was unable to receive SMS messages with low memory available. Since this model has a really small amount of internal memory this problem occurred frequently as the user installed a couple of apps. This phone ran Android 1.6 so at the time I thought it was those kinds of youth problems early versions of any software would suffer. It may be related to this bug reported on the public Android bugtracker. My first Android device in 2010 was a Samsung Galaxy 3 (GT-I5800) running Android 2.1. I had to return it in the first month because after a week or so of intensive texting it would eventually stop receiving SMS messages from the contact with who I exchanged most messages. After a factory reset it would start receiving all those pending SMS it wasn’t able to receive before, but after a couple of hundreds of exchanged SMS it would stop receiving them again! A couple of months after returning the phone I stumbled upon some internet forum threads talking about this bug, like this one. The next Android device I had was the Samsung Galaxy S (GT-I9000). Although SMS apparently worked better compared to the Galaxy 3, I used it for more than a year and had a couple of isolated incidents, things like sending the message to the wrong contact despite having selected the correct one, or opening the wrong thread after receiving a new SMS! These bugs were eventually acknowledged by Google and fixed in a subsequent release of the OS. The Galaxy 3 bug was also present but I only noticed it once or twice, it was much less noticeable than before, so there was some improvement! Since late last year there’s another really annoying bug I’ve seen more and more friends and acquaintances complaining about, not only with Samsung phones but also with other manufacturer’s devices, like Sony Ericsson Xperia Mini Pro (running Android 2.3). Android mixes SMS: when you receive longer messages it will join a part of the new text with some part of an older random SMS, resulting in the most weirdest and non-sense texts I’ve ever read. This bug has been reported for quite some time and is still awaiting solution. The problems, in my experience, usually arise when you text a lot with a specific contact (e.g. your wife), so you might think everything is normal because you can text all the other contacts fine but don’t receive this specific contact messages or receive everything mixed up. It’s not funny when your loved one sends you a text asking to pick her up somewhere and you just don’t show up or even answer the text because you’ve never received it in the first place: you will eventually get an angry call from the other not so happy person! If the message comes through mixed with other texts you might get the (wrong) idea that the person you’re texting is either drunk or smoking weed… which may or may not be funny depending on who the other person is! The funny thing is that, although I hear a lot of people complaining about this kind of problems with SMS in Android and despite some discussion around this on the web, the media did not wrote articles on this, despite having done so when, for instance, Windows Phone had that major problem with some specific SMS disabling the messaging service and shutting down the phone. These Android bugs might seem minor stuff compared, but I’m sure they have affected a lot more people than the Windows Phone one! In the end, the whole Android SMS system seems to me much worst compared to other mobile platforms. I’ve never ever had a problem with SMS with other non-Android phones, so I don’t really understand how after all these years Google has yet to sort this out! This entry was posted on August 11, 2012 at 14:00 and is filed under Android, Google, Samsung, Sony Ericsson. You can follow any responses to this entry through the RSS 2.0 feed. You can leave a response, or trackback from your own site.